A Christian song I heard decades ago speaks of benefits to having a longterm relationship with God. it says. I can imagine the author of Psalm 71 saying that, between laments, of course. That psalmist is an old man (by the standards of his time and place) who has been a devout Jew. Enemies press in around him. He, in turn, expresses confidence in God and, unfortunately, asks for revenge. The author’s confidence in God comes from a lifetime of piety. He understands that seeking righteousness does not mean that one will not suffer. and gold from Sheba be given to him! blessings invoked on him throughout the day! That series of conditional statements does not describe most Kings of Israel and Judah. Neither, unfortunately, does it describe most of the Presidents of the United States during the last six decades. This is true whether one is a commoner or a monarch, a private citizen or a political leader. Those in positions of power and influence have certain responsibilities the rest of us do not. May they make wise decisions consistently and build up those for whom they are responsible. May all of us act in obedience to the divine principles that we depend completely on God, depend on each other, are responsible to and for each other, and have no right to exploit one another. May we glorify God in part by building each other up. Balaam was a Hebrew prophet who consented to prophesy for hire, to say what his new, temporary employer wanted him to say. At the time many people thought that blessings and curses had power, so, in the context of Numbers 24, Balaam’s words mattered. God worked through Balaam, much to the chagrin of the prophet’s temporary employer. 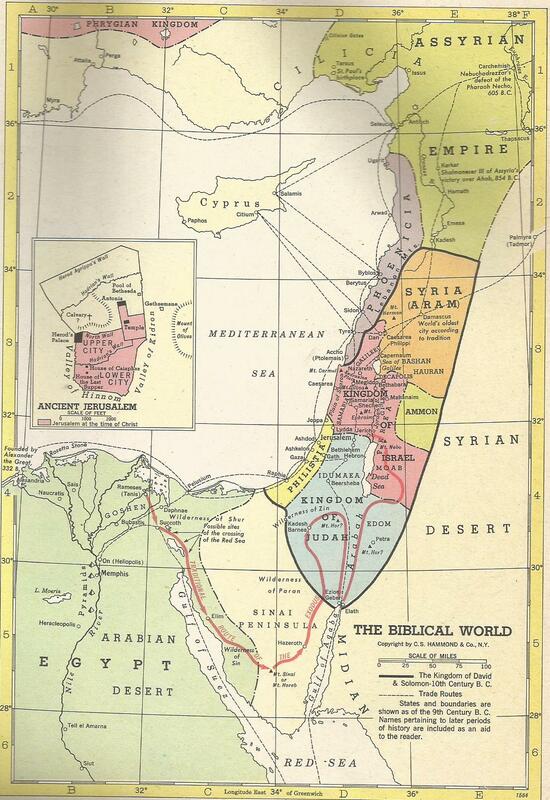 The Hebrews, Balaam proclaimed, would rule the Transjordan region. That prophecy might have been an addition to the original story of Balaam (complete with the talking donkey), for, at the time of King David, the Kingdom of Israel conquered Moab and Edom. If the prophecy in question is of later origin, my point remains unaltered. That point is that, according to the text, the Hebrews would triumph over their enemies and that the closest thing to the Kingdom of God on the Earth would win its battles. The hope for a literal Kingdom of God on the Earth is ancient. Many authors of the Hebrew Scriptures echoed it repeatedly, as in Psalm 72, a coronation text. In time the aspirations of Psalm 72 became messianic. The prophecy of Zechariah in Luke 1:67-79 fit in well with the desire for a different world order. My reading in Biblical studies has taught me much about the Kingdom of God. It has been partially present on the Earth for a long time. Attempting (as I have done) to identify how long the Kingdom of God has been present on the Earth is probably not the best intellectual exercise to undertake, for, strictly speaking, God has not, at any point in the human past, been closer to or farther away from us than at any other point in the human past. The Kingdom of God, therefore, has not been nearer to us or more distant from us at any point of time than at another. Nevertheless, we await the fully unveiled Kingdom of God. As we wait for, as members of many preceding generations have awaited the fully realized Kingdom of God, may we never lose sight of the partially realized Kingdom of God among us and our roles in it. May we love our fellow human beings as we love ourselves. May we put away fear, hatred, bigotry, and everything else that separates us from accomplishing the goal of beloved community. May we respect the image of God in each other then act accordingly. Whenever we help the least of those among us we aid Christ. Likewise, whenever we refuse to help the least of those among us, we refused to aid Christ.